Devastation from the Flood of 1916. 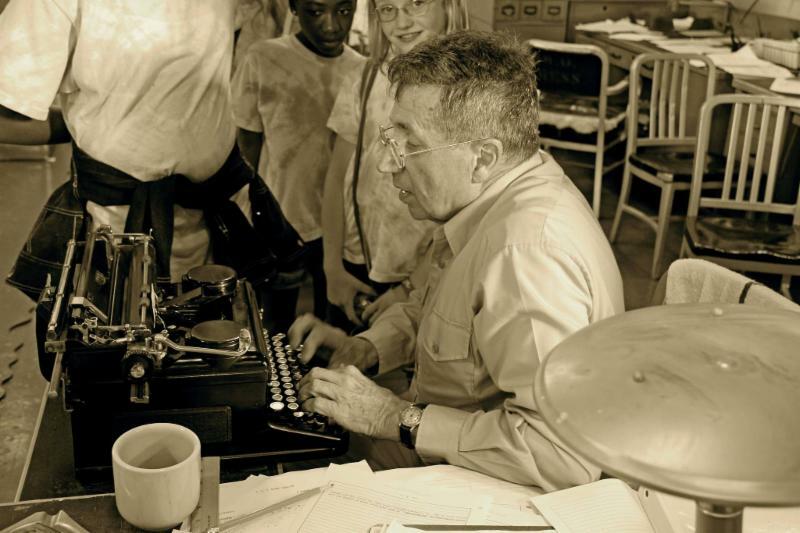 Image from State Archives. In mid-July 1916, the remnants of two hurricanes collided over western North Carolina, inundating the mountain region and the western Piedmont with historic rainfall. The result was catastrophic. Landslides wiped out whole families. Currents ripped babies from their parents’ arms. Rivers washed away thousands of jobs. When the water finally receded, at least fifty lay dead, damages totaled in the millions of dollars, and a thick black sludge remained where crops once stood. The scope of the devastation was almost inconceivable. One hundred years later, the storm remains one of the worst ever experienced in the Tar Heel state. To commemorate the event, the North Carolina Office of Archives and History has developed a traveling exhibit that will visit 12 different venues throughout the region over the course of the next year. The exhibit, entitled “So Great the Devastation: The 1916 Flood,” debuts at the History Museum of Catawba County in downtown Newton next Tuesday, March 1. A schedule of the exhibit stops over the next six months appears in the table below. Click on the Venue name for directions. 4/22 Update -additional tour stops have been announced. Check out our website for the whole list. As part of the commemorative initiatives, the Office will also be hosting a symposium on the flood at Asheville-Buncombe Technical Community College on July 16. We’ll announce more details about this landmark event as they become available. 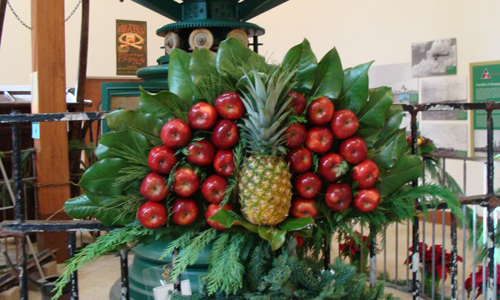 The annual state tree lighting in Raleigh, a new exhibit of Star Wars artifacts in Asheville and a colonial Christmas weekend at the coast are just a few of the opportunities for fun and discovery you’ll find this weekend with the N.C. Department of Natural and Cultural Resources. 1. 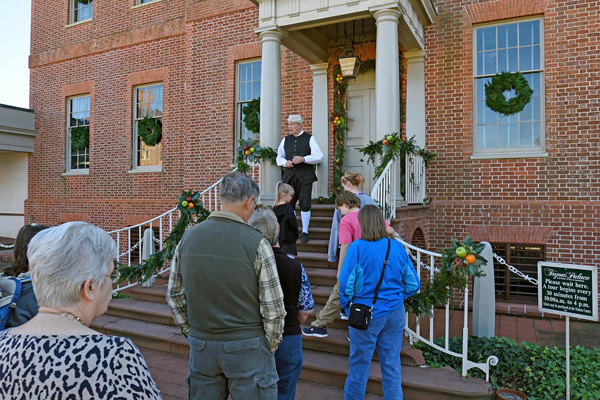 Celebrate a Colonial Christmas weekend with activities with open houses at Historic Edenton and Historic Bath, and the annual Candlelight celebration at Tryon Palace in New Bern. 2. Join Governor Pat McCrory for the annual State Tree Lighting on the grounds of the State Capitol in Raleigh, and then stop by the N.C. Museum of Natural Sciences across the street for a special meet the animals program. 3. 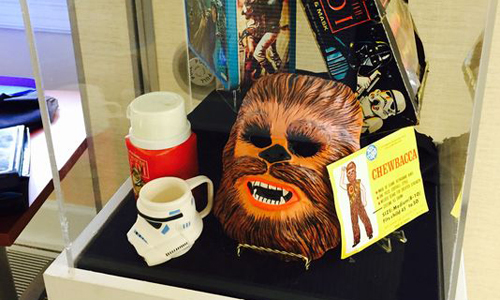 Visit a special exhibit of Star Wars artifacts at the Western Regional Archives in Asheville, and take your kids to a special Star Wars Lego class there Saturday. 4. 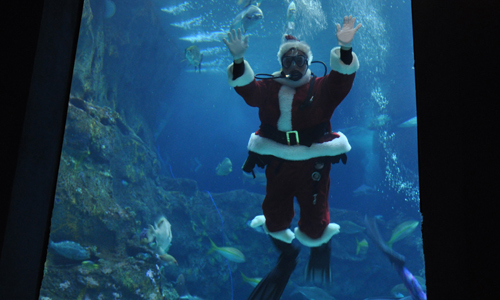 Meet Santa by the sea Friday at the N.C. Aquarium at Pine Knoll Shores and Saturday at the N.C. Aquarium at Fort Fisher in Kure Beach. 5. 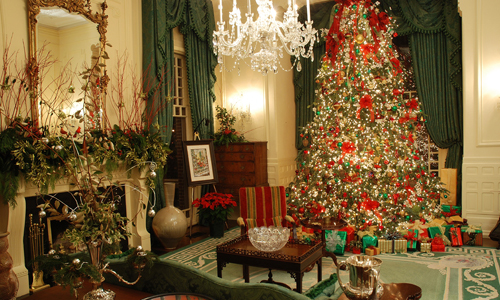 Marvel at the Executive Mansion’s elaborate Christmas decorations during its annual holiday open house in Raleigh throughout the weekend. 6. 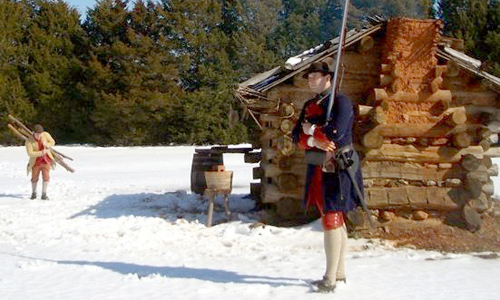 Step back in time to an 18th century Christmas at Brunswick Town/Fort Anderson Sunday in Winnabow. 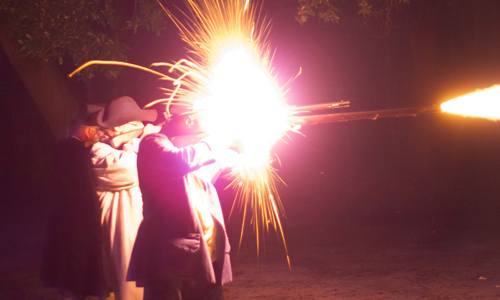 You’ll find colonial refreshments, traditional games, special tours and an authentic period candlelit service. 7. 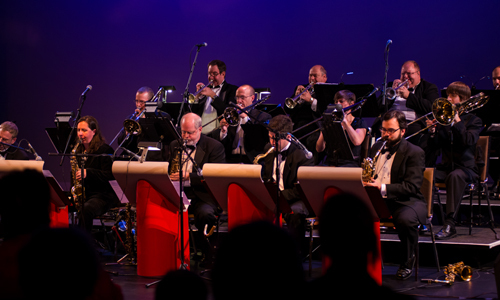 Enjoy a concert of Duke Ellington’s “Nutcracker Suite” and other holiday favorites Thursday at the Southeastern Center for Contemporary Art (SECCA) in Winston-Salem. 8. 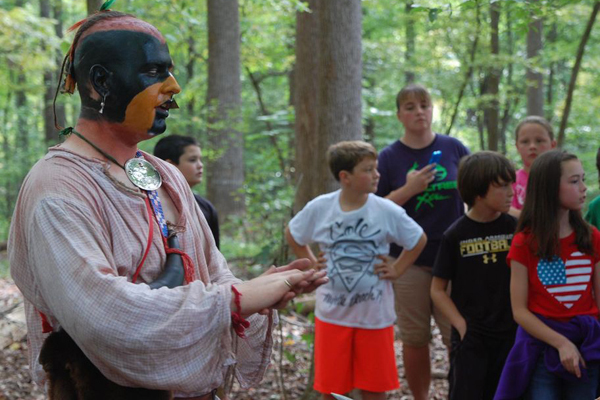 See what 18th century life was like along the North Carolina frontier Saturday at Fort Dobbs in Statesville. 9. 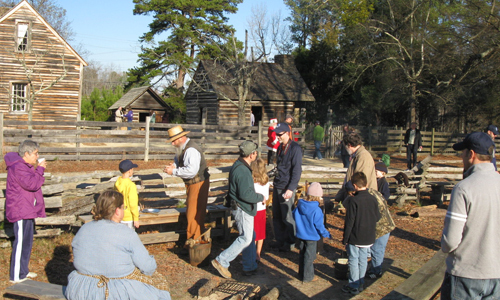 Experience a Civil War Christmas Saturday by learning about the holiday traditions from the period at the CSS Neuse Civil War Interpretive Center in Kinston and seeing a period holiday brought to life at Bennett Place in Durham. 10. 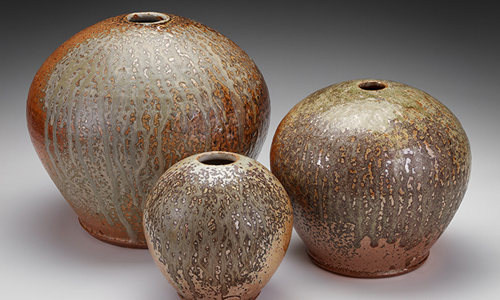 Find a gift for the art lover in your life at the Folk Art Center’s Guild Artist Holiday Sale Saturday in Asheville. 11. 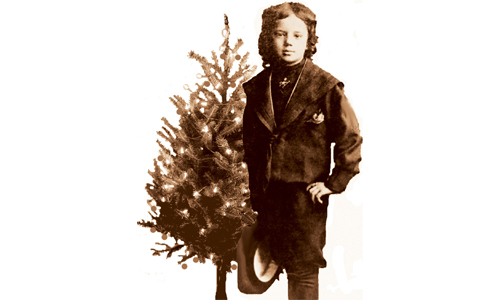 Take a tour of Thomas Wolfe’s boyhood home and make an ornament popular during the time Wolfe was a child Saturday at the Thomas Wolfe Memorial in Asheville. 12. 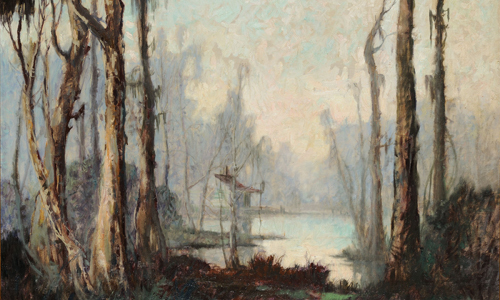 Explore the dramatic landscapes and diverse peoples that have shaped the South at a new exhibit of Southern paintings opening at the N.C. Museum of History in Raleigh Friday. 13. 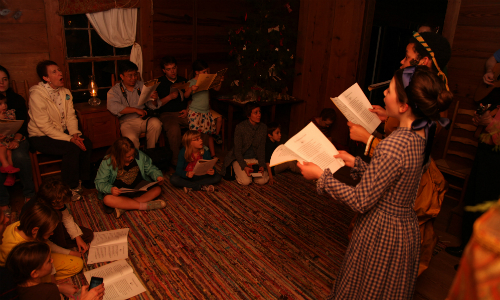 Spend a festive Sunday afternoon at Duke Homestead in Durham as part of the site’s annual Victorian Family Christmas program. 14. 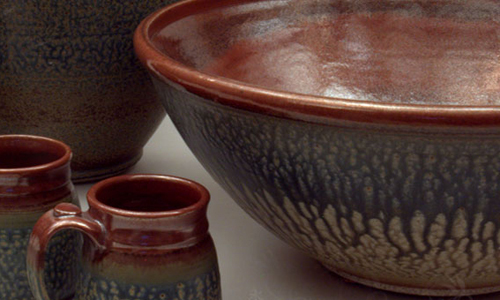 Browse of the one largest selections of local pottery in mountains Friday and Saturday at Mud Dabbers of Brevard‘s holiday open house. 15. 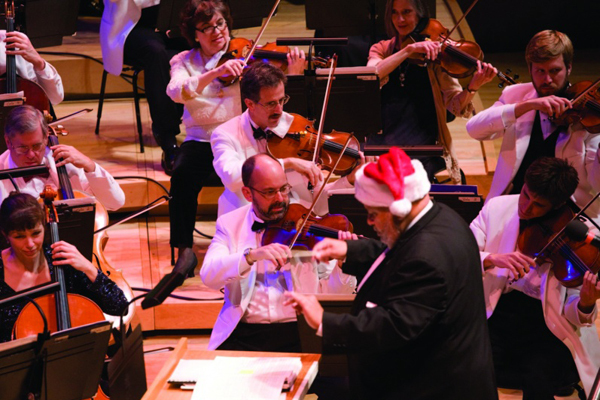 Listen to some of your favorite holiday tunes as performed by the North Carolina Symphony Thursday in Jacksonville and Saturday in Wilmington. 16. 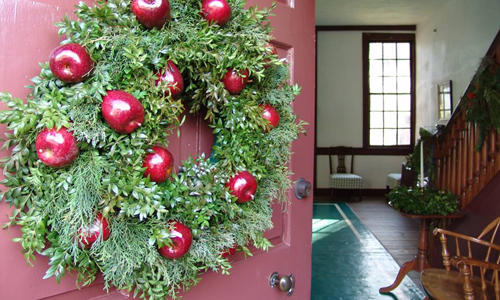 Get into the spirit of the season with holiday open houses Saturday at the Graveyard of the Atlantic Museum in Hatteras, Historic Halifax, House in the Horseshoe near Sanford and the Mountain Gateway Museum in Old Fort. 17. 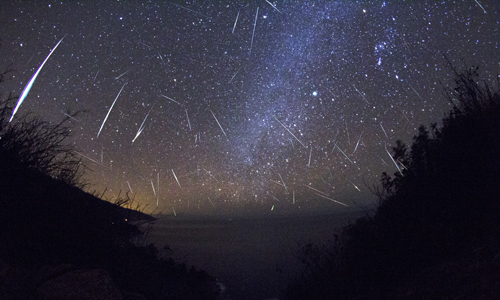 Watch the Geminid Meteor Shower Sunday night with N.C. Museum of Natural Sciences at Medoc Mountain State Park in Hollister. 18. 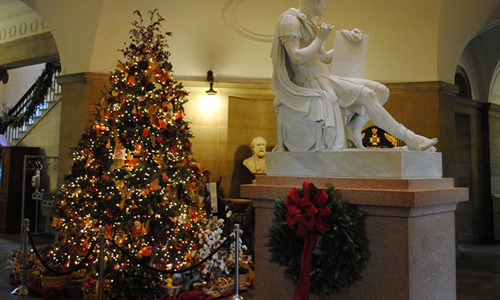 Go on a candlelight tour to celebrate the holiday season. Aycock Birthplace in Fremont will offer tours Thursday, and both Duke Homestead and Bennett Place in Durham will offer tours Friday. Check out DNCR’s calendar for more information on these and other events, and a enjoy a great North Carolina weekend! A festive holiday kickoff in New Bern, holiday pops concerts in Raleigh and the chance to opt to go outside Black Friday at parks across the state are just a few of the fun experiences to be had this weekend with the N.C. Department of Natural and Cultural Resources. 1. 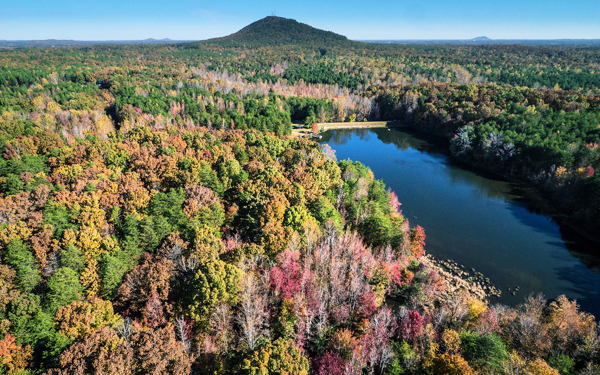 Join REI and #OptOutside this Black Friday by visiting one of North Carolina’s state parksor recreational areas. 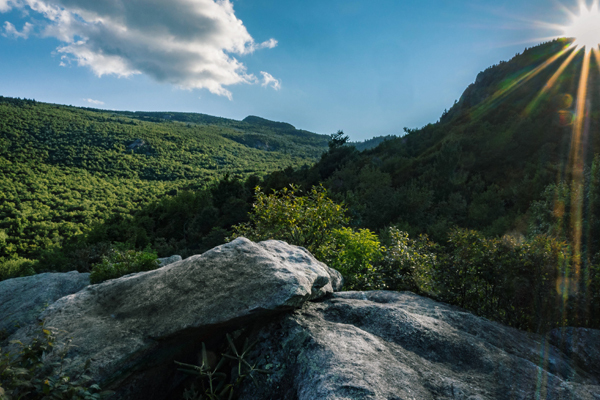 A guided hike of the Nuwati Trail at Grandfather Mountain State Park in Banner Elk is just one the great programs you’ll find. 2. Ring in the holiday season at Tryon Palace in New Bern with special tours, music and movies throughout the weekend. 3. 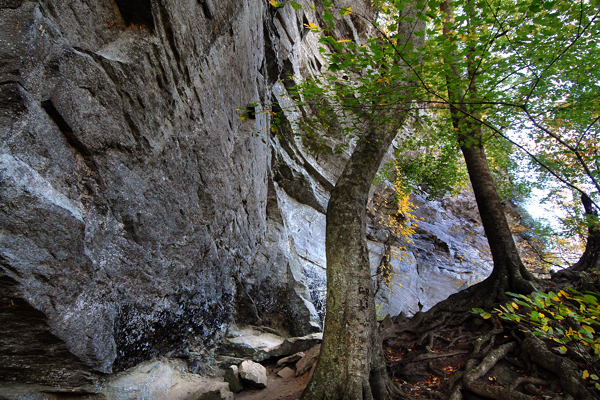 Start your Thanksgiving out right with a Thursday morning hike at Raven Rock State Park in Lillington. 4. 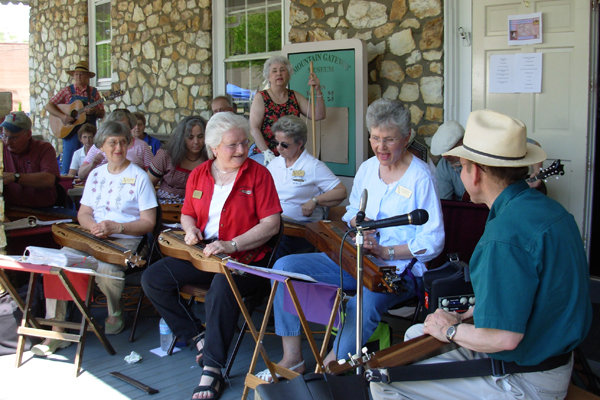 Jam out to bluegrass, gospel and old time music at the Mountain Gateway Museum in Old Fort on Sunday. 5. 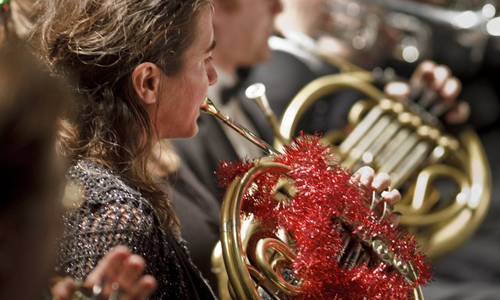 Enjoy classic holiday tunes as performed by the N.C. Symphony Friday and Saturday in Raleigh. 6. 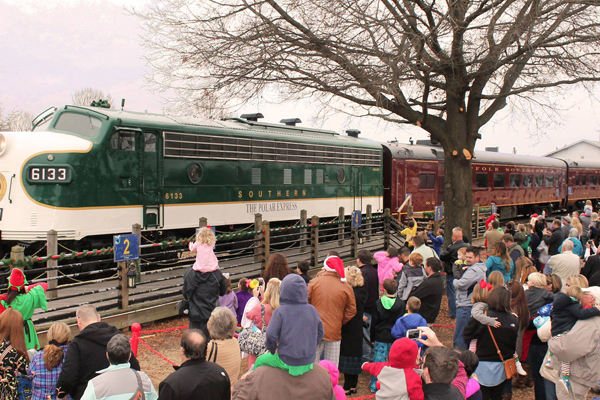 Travel to the North Pole with a ride on the Polar Express, leaving from the N.C. Transportation Museum in Spencer on Friday through Sunday. 7. Jump start your genealogy project. 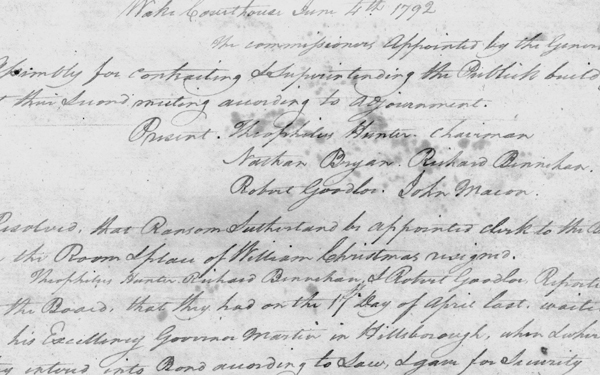 Thanksgiving is great time to start, and the State Library’s RootsMOOC has tips to help you get your research off the ground. 8. 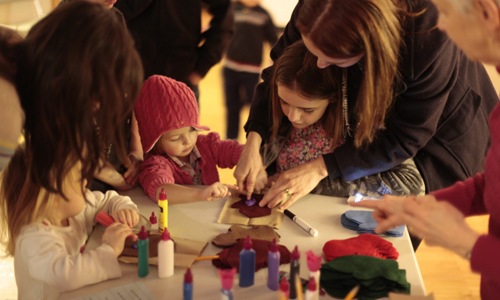 Escape the cold and explore one of the special exhibits now on view at our Raleigh museums. North Carolina’s Favorite Son at the N.C. Museum of History, The Worlds of M.C. 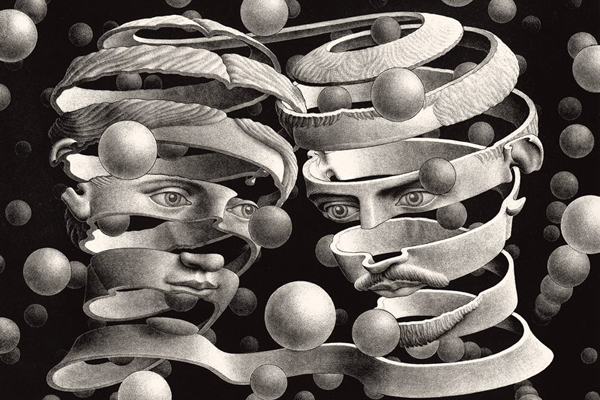 Escher at the N.C. Museum of Art and Extreme Mammals at the N.C. Museum of Natural Sciences are all getting rave reviews. Note that most historic sites are closed Thursday and Friday for the holiday, and all of our museums are closed Thursday. State parks are open every day this week. Call ahead and before you visit as hours may vary. 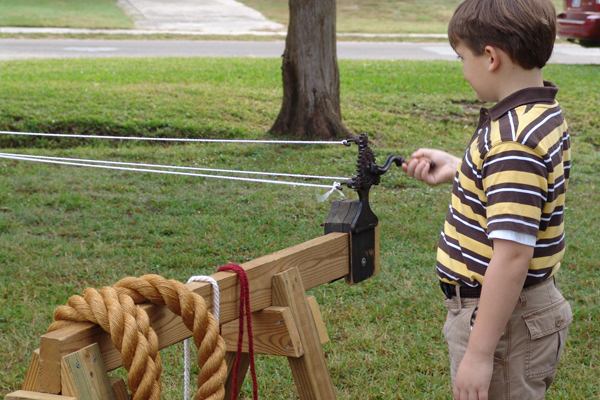 A new exhibit on “North Carolina’s favorite son” in Raleigh, a living history birthday celebration for our nation’s 11th president in Pineville and a fall festival in Kings Mountain are just a few of the opportunities for fun and discovery you’ll find this weekend with the N.C. Department of Natural and Cultural Resources. 1. 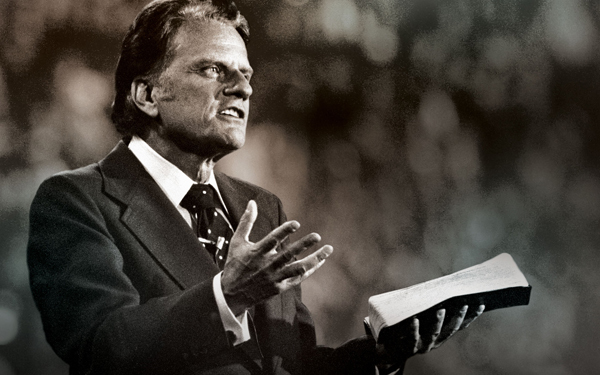 Discover how the son of a Charlotte dairy farmer became a worldwide ambassador of the Gospel at North Carolina’s Favorite Son, a new exhibit exploring the life of Billy Graham, opening Friday at the N.C. Museum of History in Raleigh. 2. 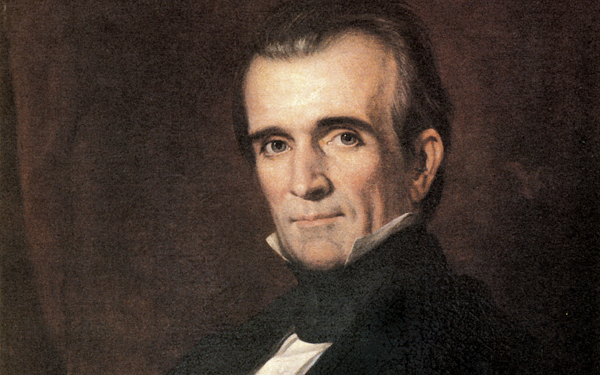 See what childhood life was like for the 11th president of the United States Saturday during a living history celebration at the President James K. Polk Memorial in Pineville. 3. Explore the history behind one of our state’s most famous shipwrecks Thursday at the Graveyard of the Atlantic Museum in Hatteras. 4. 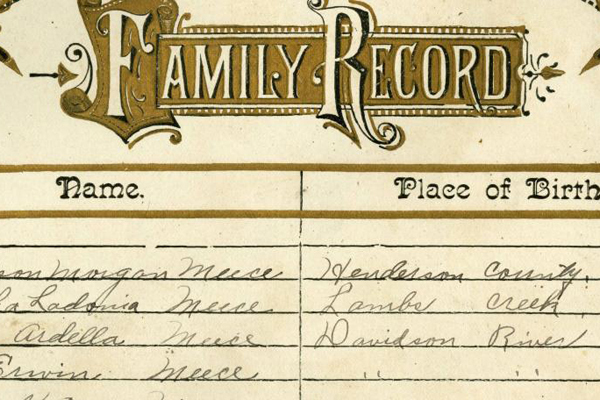 Get tips and tricks for jumpstarting your genealogy project during Ancestry Day hosted by the State Archives and State Library Saturday in Raleigh. 5. Celebrate fall at Crowders Mountain State Park in Kings Mountain Saturday with music, food and the chance to meet live animals. 6. 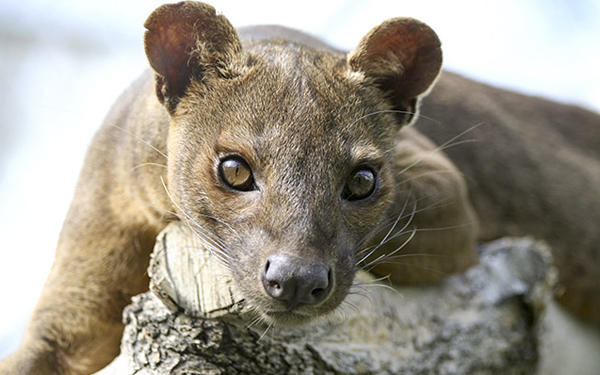 Meet a National Geographic explorer and learn about the fight to save the fossa, Madagascar’s top predator, from extinction during a lecture Thursday at the N.C. Museum of Natural Sciences in Raleigh. 7. 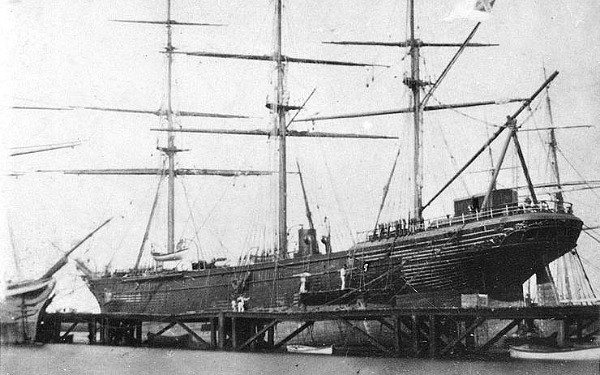 Hear the story of the final surrender of the Civil War during a lecture Friday at the N.C. Maritime Museum in Beaufort. 8. 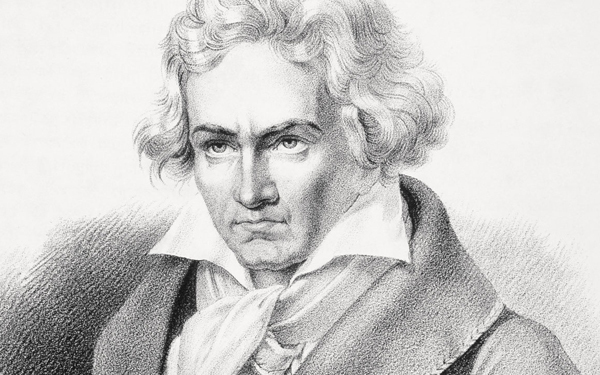 Enjoy concerts of Beethoven’s 8th Symphony as performed by the N.C. Symphony Friday and Saturday in Raleigh. 9. 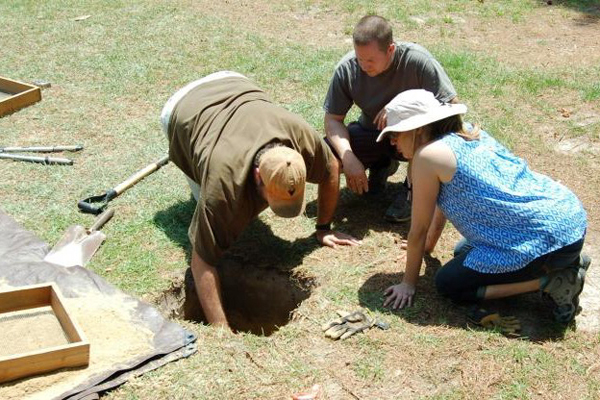 Talk with the scientists and historians who have been doing archaeological work at House in the Horseshoe in Sanford Saturday, and enjoy a range of related activities for the whole family. 10. 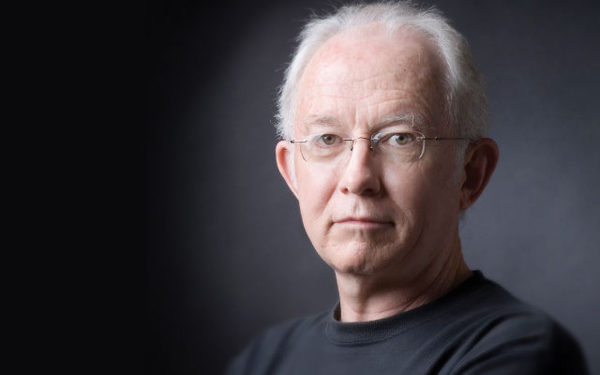 Listen to author Tom Patterson read from his new memoir, MADE in the SHADE: Cultural Adventures of a Fledgling Writer, Thursday at the Southeastern Center for Contemporary Art in Winston-Salem. 11. Sample local beers while watching the documentary “Brewconomy” on North Carolina beers Friday at the N.C. Museum of History in Raleigh. 12. 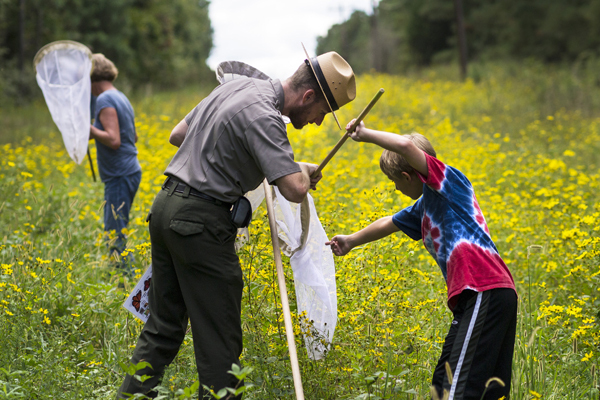 Take your kids to Mayo River State Park in Mayodan Saturday to become a junior ranger. 13. 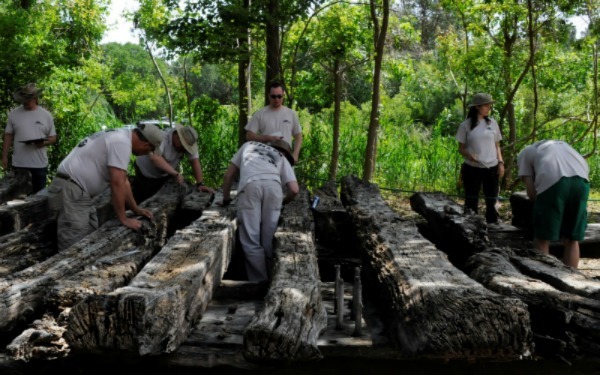 Watch live demonstrations of tar and turpentine making, and learn about how the people of the past preserved food for winter Saturday at the N.C. Museum of History in Raleigh. 14. 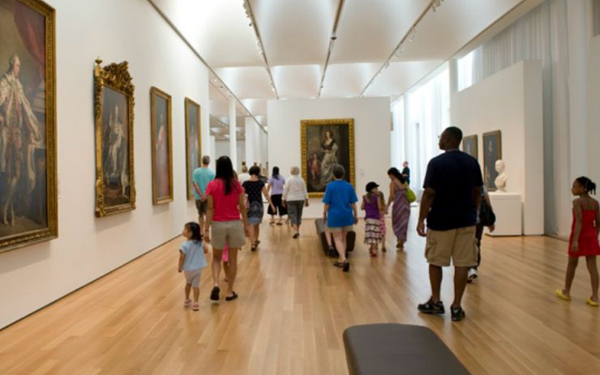 Feast your eyes on food-related works of art during family-friendly tours of the N.C. Museum of Art in Raleigh Saturday and Sunday. A look inside the tobacco barn at the State Fair. Late last week, teams of three squared off in what has become an annual State Fair tradition—Duke Homestead’s Tobacco Looping Contest. 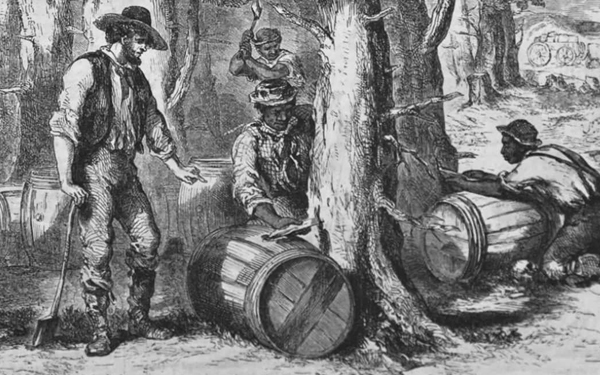 The contest highlights what was once a common chore on farms across North Carolina: farmers tied tobacco onto sticks and loaded them into barns, where the crop was cured. The practice largely fell by the wayside in the mid-20th century as technology improved and tobacco began to be cured in a bulk barn in large containers. Explore a working tobacco barn in the Heritage Circle area, managed by Duke Homestead and the N.C. Tobacco Growers Association. You can take a peek at the curing process if you visit during the week, or see the finished product if you stop by on the weekend. A visitor learns about historic military uniforms after our 2014 revue. Discover the Tar Heel State’s connections to World War I at an exhibit we’ve created in the north lobby of Dorton Arena. You’ll see how the fairgrounds were used a training center and learn more about the how the Great War impacted North Carolina. See interpreters portraying soldiers from throughout American history during the Military Appreciation Parade and our 2nd annual historical uniform revue at 11 a.m. and 2 p.m., respectively, Wednesday. Experience a mock tobacco auction in the Heritage Circle area Friday at 2 p.m. Though now largely replaced by contracts between tobacco companies and farmers, tobacco auctions were once the center of the economic and social life of many rural North Carolina communities. and other fruit. Image from the State Library. Blue Ribbon Memories: Your History of the N.C. State Fair, is an online exhibit that showcases photographs, premium lists, newspapers clippings and other materials available on our State Fair Ephemera Digital Collection and allows fairgoers to share memories of their own State Fair experiences. The State Archives and State Library Flickr accounts both feature dozens of photographs, video clips and ads from fair publications over the years. Several of the items are newly-posted this year. Two videos from the State Archives, posted here and here, show the fair as visitors saw it in the 1940s and 1960s, respectively. 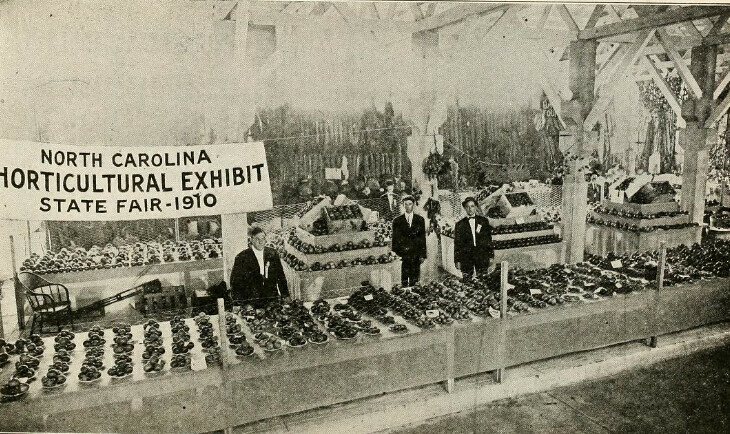 Hundreds of scrapbooks, newspaper clippings, local histories and photos featuring the State Fair are available online from cultural institutions across the state through DigitalNC, which is supported in part by the State Library. Happy exploring! We hope to see you out there at this great North Carolina tradition. 1. Step back in time to the Revolutionary War-era at Historic Halifax where you’ll find special tours, presentations and Revolutionary War skirmishes Saturday and Sunday. 2. 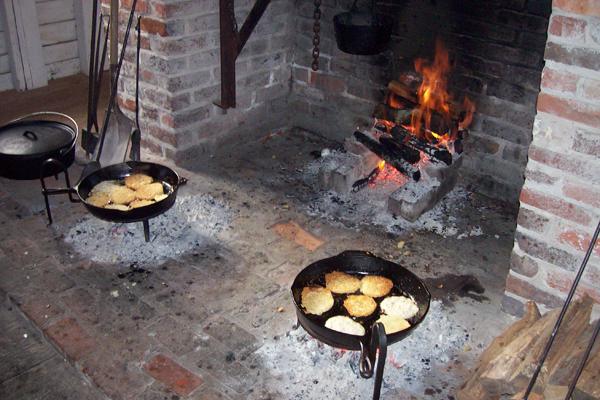 Sample foods popular during the Civil War and learn more about the role food played in the conflict Saturday at Somerset Place in Creswell. UPDATE: Due to the potential for inclement weather, this event has been cancelled. 3. 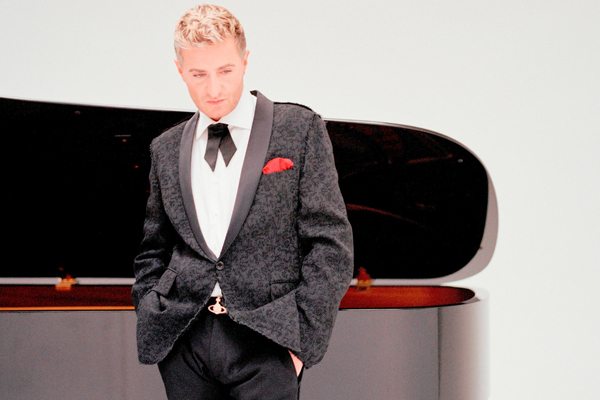 Join the N.C. Symphony throughout the weekend in Chapel Hill and Raleigh for concerts of the music of Leonard Bernstein and George Gerswhin featuring acclaimed pianist Jean Yves-Thibaudet. 4. 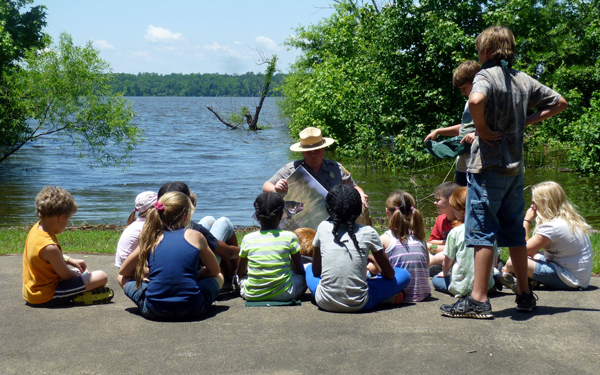 Visit a one of North Carolina’s 39 state parks and natural areas with your family as part of Take a Child Outside Week. 5. 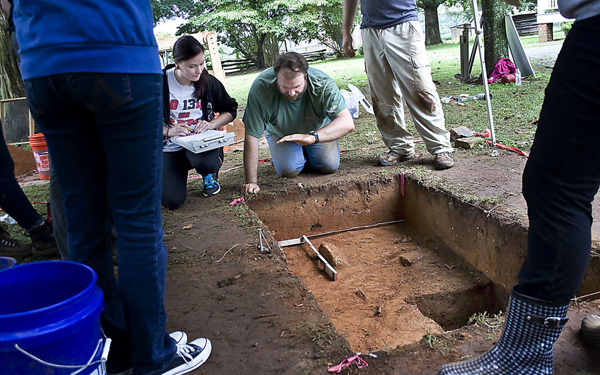 Watch as archaeologists hunt for the secrets buried below the grounds of the State Capitol Thursday, Friday and Saturday in Raleigh. UPDATE: Due to the potential for inclement weather, this event has been cancelled. 6. 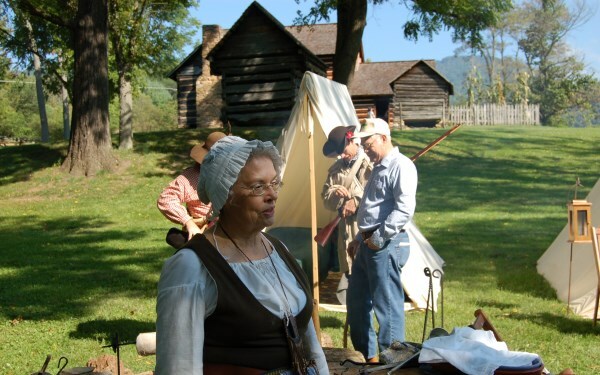 Talk with re-enactors about life in an early 19th century militia and see camp activities including candle making, weaving and campfire cooking during Vance Birthplace’s fall militia muster Saturday and Sunday in Weaverville. 7. 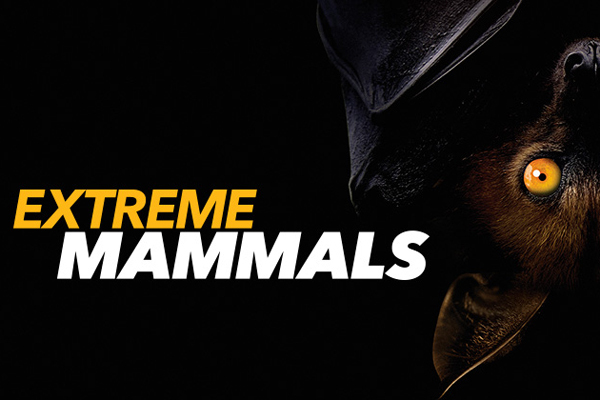 Explore the biggest, smallest and most amazing mammals that have walked the Earth bypaying a visit to the new Extreme Mammals exhibit at the N.C. Museum of Natural Sciences in Raleigh, opening Saturday. 8. 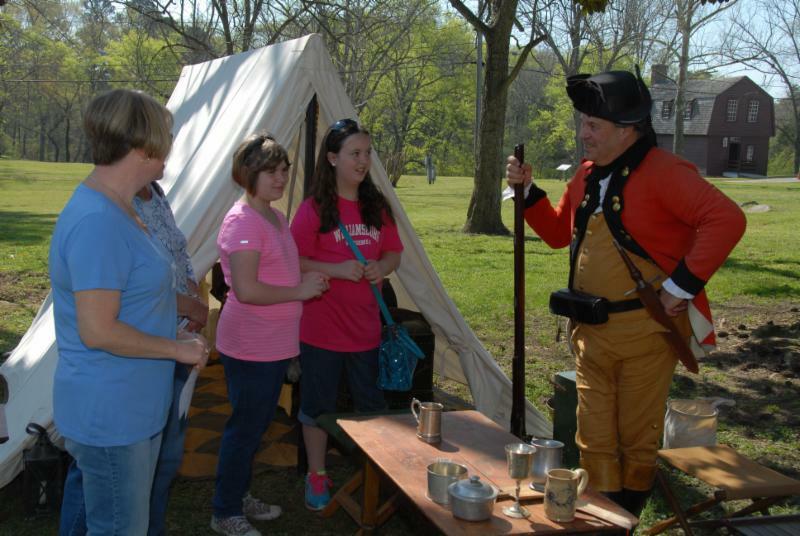 Celebrate the arrival of fall at an 18th Century Fair, Saturday and Sunday at Fort Dobbs in Statesville. 9. 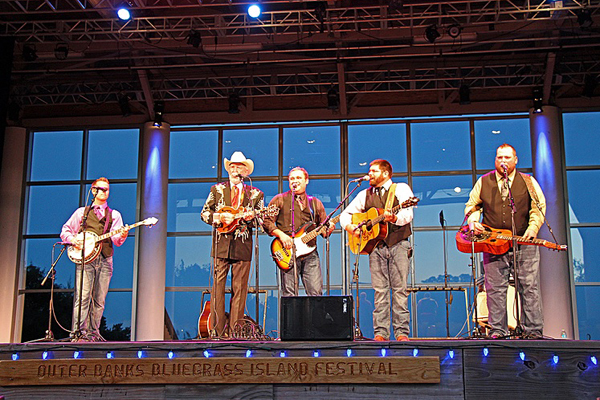 Enjoy bluegrass music against the picturesque backdrop of the Roanoke Sound throughout the weekend at the Bluegrass Island Festival at Roanoke Island Festival Park in Manteo. 10. 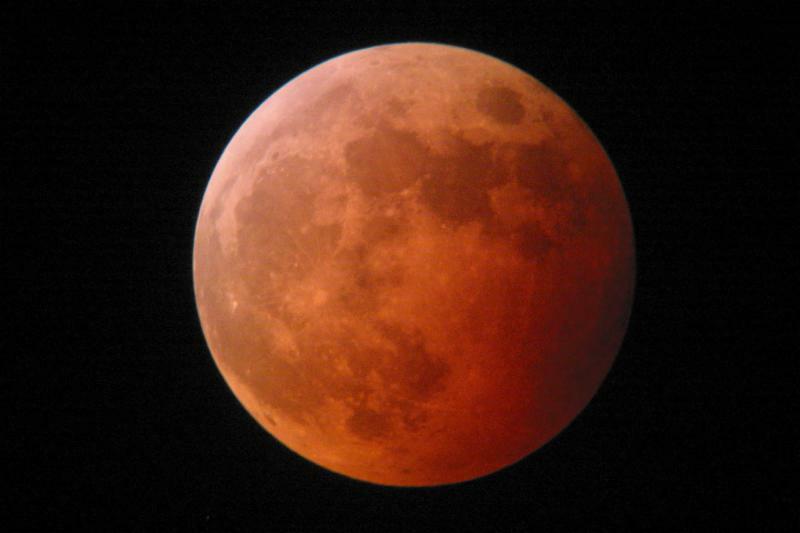 Watch a lunar eclipse that won’t happen again for another 18 years Sunday night at Town Creek Indian Mound in Mount Gilead. 11. 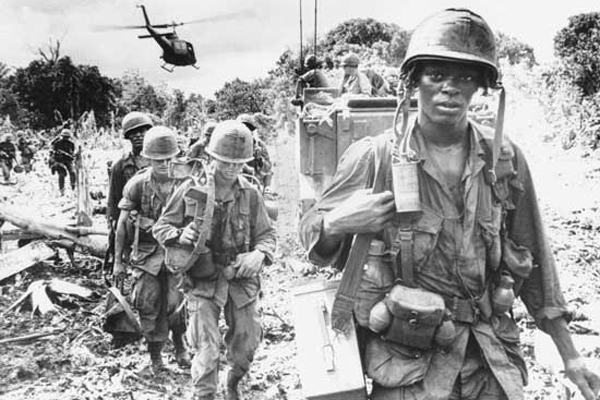 Discover what the Vietnam War was like for African American soldiers during a panel discussion Friday at the N.C. Museum of History in Raleigh. 12. 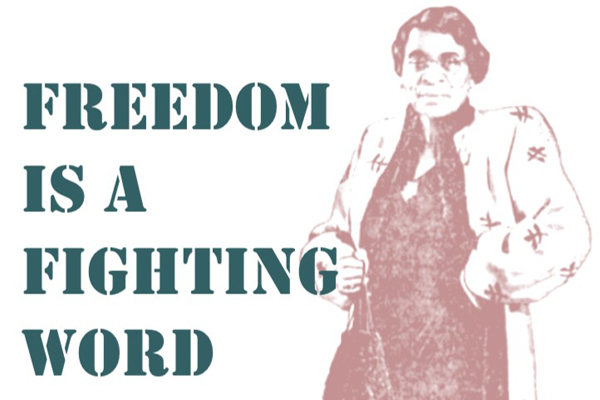 Check out a new exhibit highlighting Dr. Charlotte Hawkins Brown’s role in the voting rights movement, opening Saturday at the Charlotte Hawkins Brown Museum in Sedalia. 13. 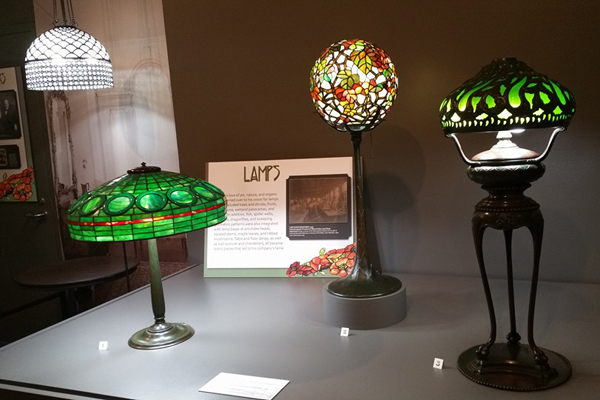 Marvel at the handiwork of famed designer and artist Louis C. Tiffany by visiting a new exhibit at the Museum of the Albemarle in Elizabeth City, opening Saturday. 14. See what life was like aboard the Battleship North Carolina during World War II Saturday in Wilmington when period re-enactors bring the ship alive. 15. Play colonial games, see period cooking demonstrations and meet the man who has been following in early explorer John Lawson’s footsteps Saturday at Historic Bath as part of the national Museum Day Live! program. 16. 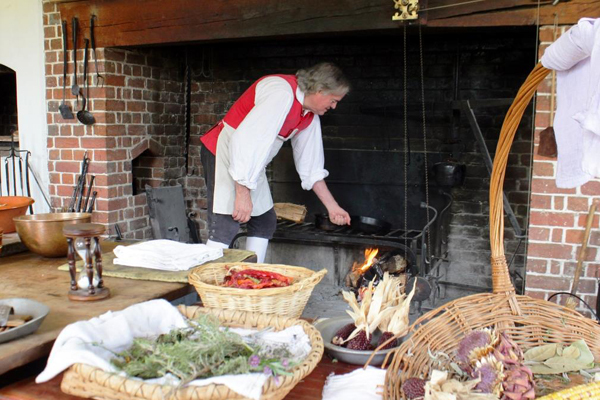 Get an inside look at Tryon Palace’s Kitchen Office on the Kitchens of New Bern Tour Saturday. Check out DCR’s calendar for more information on these and other events, and a enjoy a great North Carolina weekend! A railroad festival in Old Fort, harvest festivals in New Bern and Durham and arts festivals in Raleigh and Charlotte are just a few of the opportunities for fun and discovery you’ll find across North Carolina this weekend. 1. 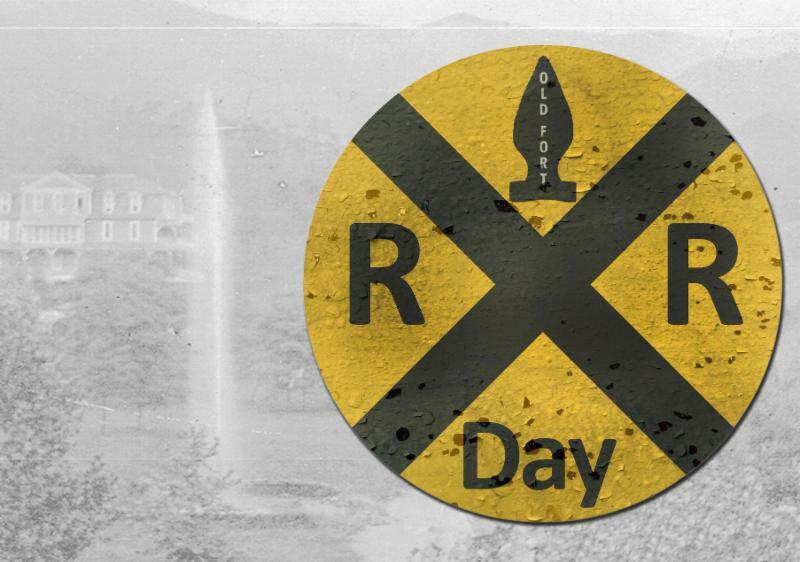 Join the Mountain Gateway Museum in Old Fort for a family festival focused on the history of railroads Saturday. 2. 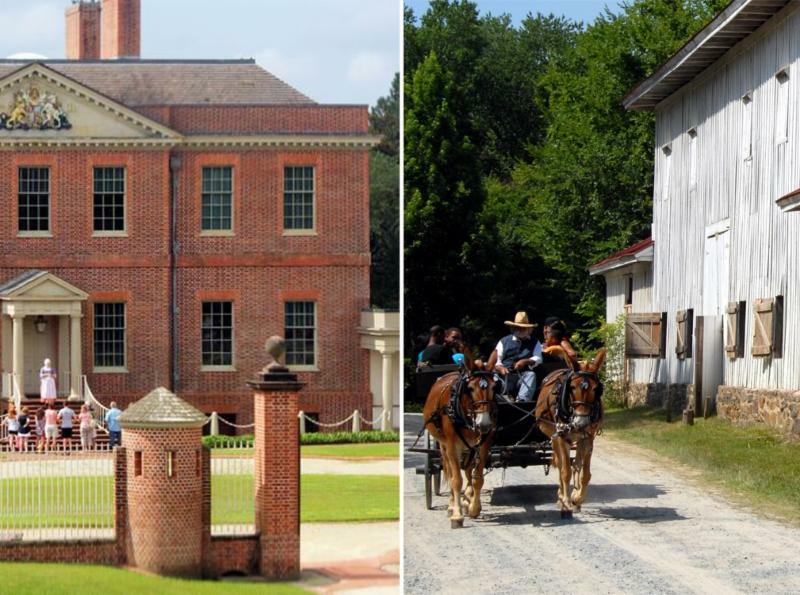 Celebrate the arrival of fall Saturday with harvest festivals at Tryon Palace in New Bern and Historic Stagville in Durham. 3. 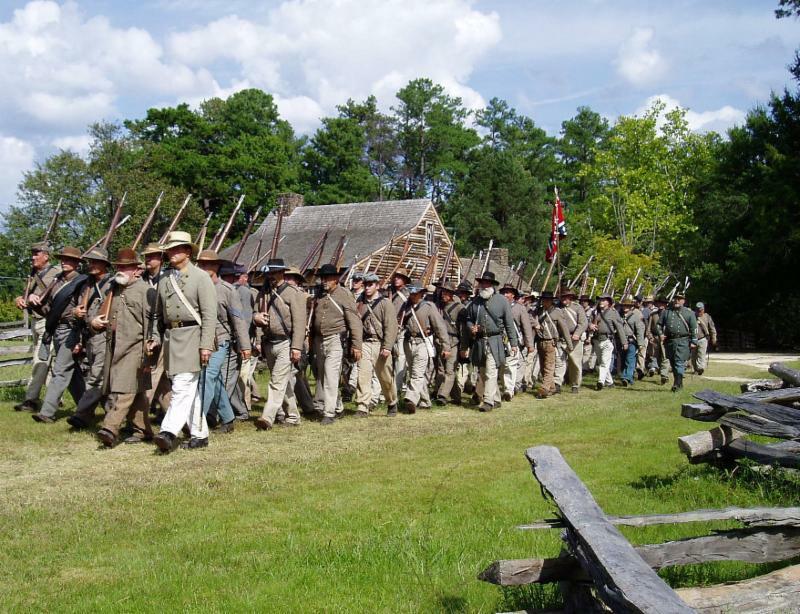 Watch as historic interpreters go through the basic training that Civil War soldiers would have received Saturday and Sunday at Bennett Place in Durham. 4. 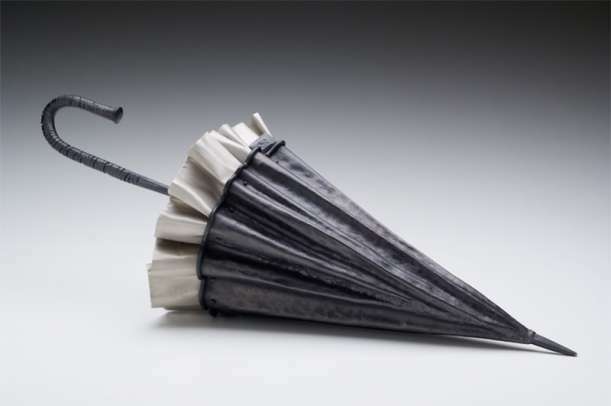 Meet artists Peter Oakley and Elizabeth Brim Friday at the N.C. Museum of Art in Raleigh. The work of these two North Carolina sculptors is featured in the museum’s new Chisel and Forge exhibition. 5. 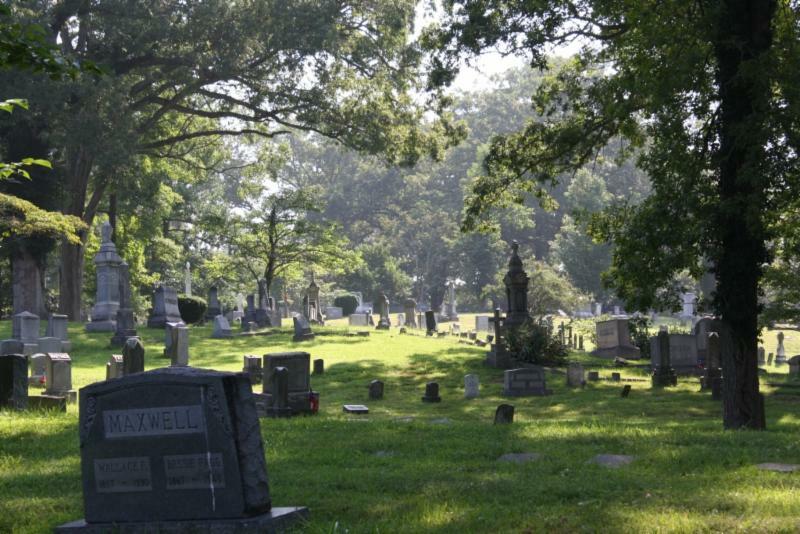 Spend your Saturday morning taking a tour of Asheville‘s Riverside Cemetery focused on the characters in Thomas Wolfe’s novels and stories. 6. 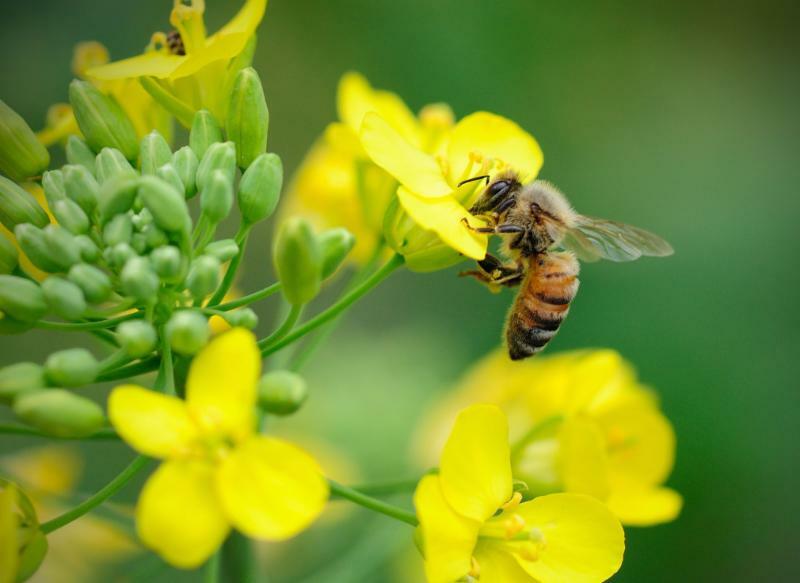 Discover why attracting pollinators has been key throughout history, get some gardening tips of your own and let your kids enjoy a related hands-on activity Saturday at the N.C. Museum of History in Raleigh. 7. 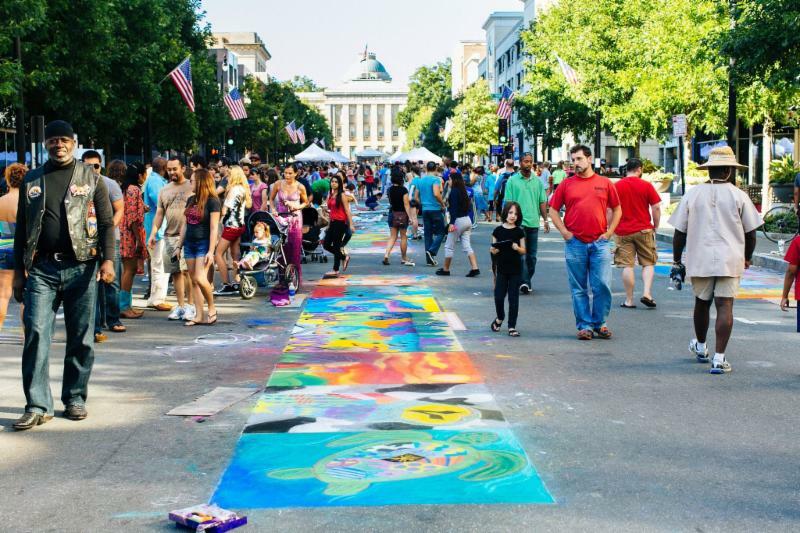 Sample local art, science, history and heritage at SPARKcon in Raleigh and the Cultural Free for All in Charlotte.